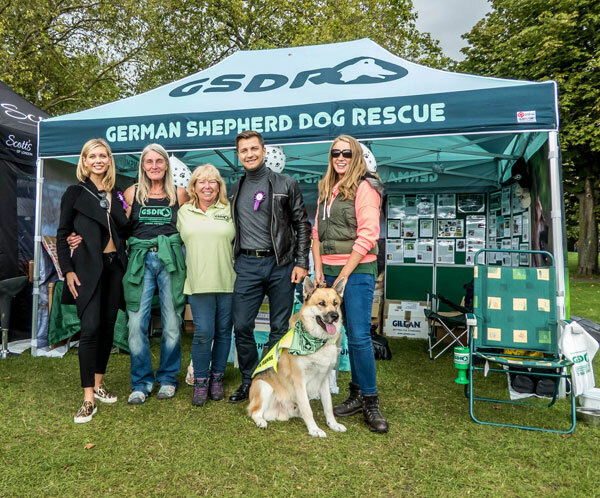 Lee is an amazing volunteer for our rescue He has seen first hand what the rescue does on a daily basis to help German Shepherds find new homes. He has helped pull them out of dire situations and he has worked tirelessly to help them over their anxieties. Now Lee has decided that he wants to do something absolutely ridiculous to raise money that will help save more dogs and enable us to continue the work that we do., to bring them out of horrendous situations and give them hope of a happy life in a loving home. So he chose to do the Toughest Mudder in the Midlands in May 2019....8 hours overnight of sheer hell.. Please support Lee on his GOFUNDME page and help him raise as much money as possible for the dogs. 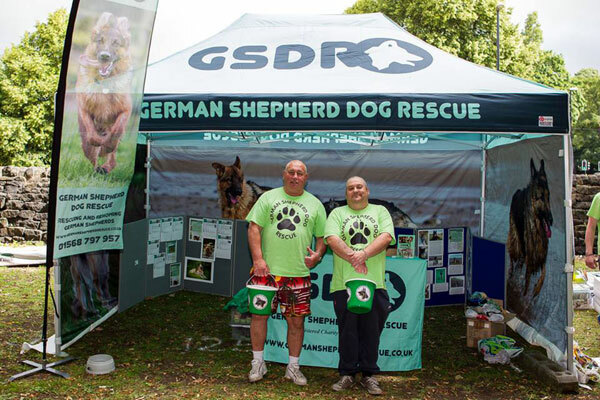 July 2015 - In the last couple of weeks, team NE have raised a staggering £3821.39 from 2 events - £2,302.39 at Shepfest , £1519 at the Kirkstall Festival. What an amazing achievement, huge thanks to all involved. 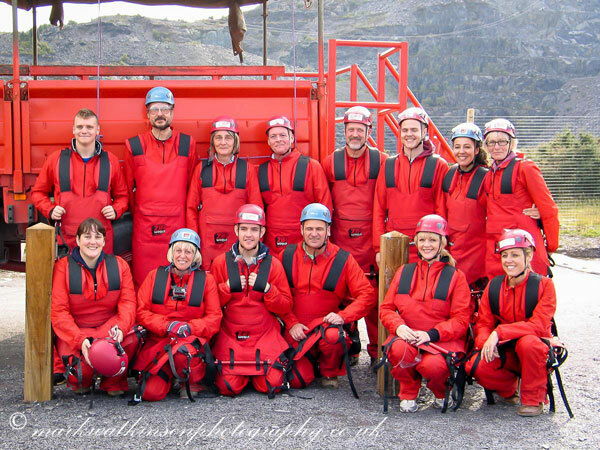 To raise much needed funds for GSDR, a crew of 14 intrepid volunteers completed the Zip Wire Challenge on October 6th this year at Penrhyn Quarry, Bethesda in stunningly beautiful Snowdonia. 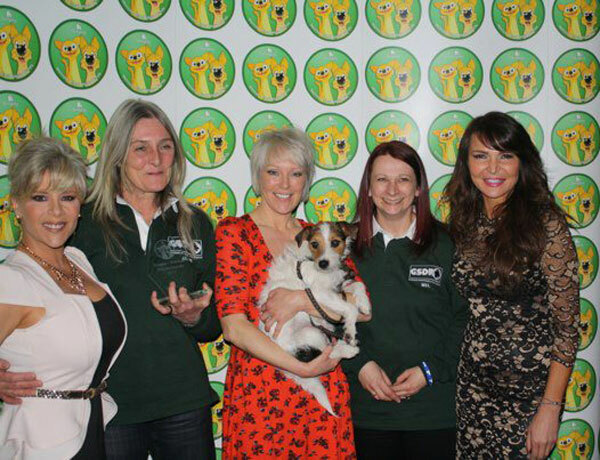 Our aim is to raise more funds so that we can help more dogs. More funds are needed to help pay our ever increasing kennel bills, where dogs have to be accommodated until new homes are found. Our target is enormous, we have set ourselves a staggering £12,000 and this will be our biggest fundraise ever. 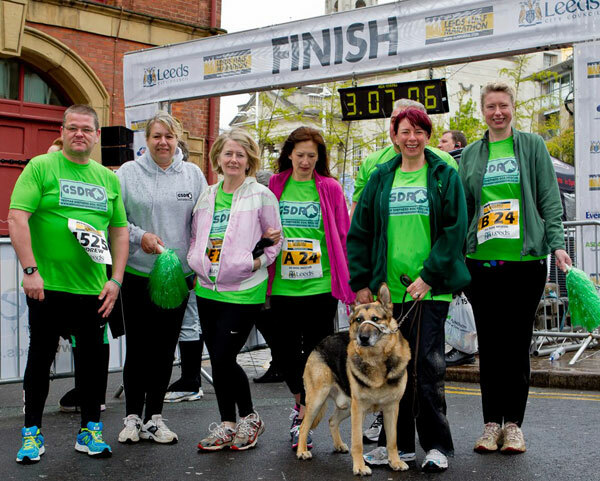 A fantastic achievement by our dedicated GSDRunners doing the Leeds Half Marathon and a team relay event to raise funds for GSDR.